They say when it comes to cinema, emotion is always stronger than logic. Unfortunately, Martin Zandvliet’s newly released yakuza crime thriller The Outsider has very little of either. 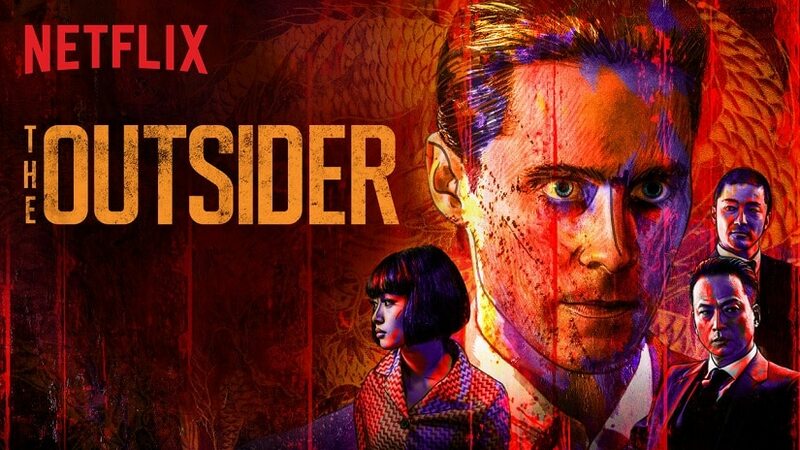 The film tells the story of an American army Captain named Nick Lowell (Jared Leto) languishing in the prisons of Osaka in post-war Japan, who earns the favour of a member of a yakuza gangster clan by helping him escape from the same prison. In return, the members of the clan help Lowell by getting him out of prison. Once outside, Lowell finds himself getting more and more involved with the clan’s day to day activities, until a time comes when he realizes that he cannot go back to his old life anymore. The entire story is soaked in blood — shed both for honour and for revenge — and there’s plenty of action scenes to try and live up to the genre. Despite the delicious little premise, the film falls flat on its face. For one, the writer and the director sacrifice logic at the drop of a kimono, conveniently choosing to leave several questions unanswered. For instance, there is absolutely no explanation offered as to how Nick Lowell is pulled out of prison, and why the same strategy was not used to free Kiyoshi, the yakuza gangster — leaving the poor fellow no choice but to disembowel himself, merely so that he could be taken to the hospital! It is also extremely difficult to believe that a white man can stroll into nightclubs, warehouses and — believe it or not — even the residence of the head of one of the strongest yakuza families in the whole of Osaka, brandishing a gun or a sword and randomly start shooting or slicing people he doesn’t like. What is also quite disturbing to see is that the very members of the notorious criminal syndicate also choose to don and drop their guards of honour whenever they feel it serves their convenience. The entire thing is just way too unbelievable, really — and not in a good way. The film also tries to show a number of yakuza traditions and rituals in a glorified, glossed up and aesthetic manner, but never quite succeeds in getting under the skin of the characters themselves. Early on, Kiyoshi is shown telling another member of the family that the gaijin (one of foreign descent) does not mean a thing to him, and that he himself will always be loyal to his family and to the oath he has taken. Merely a few scenes later, when he learns that Lowell has been sleeping with his sister, he calls him a brother and has a drink with him. So much for loyalty! The film also has a very skewed depiction of Japan in the mid-fifties, describing war-profiteering and post-war nation building in extremely shallow terms. Every single time Nick Lowell bumps into another white man, there is inevitably a mention of how the Americans won the war and how these ‘Japs’ and ‘Nips’ need to be shown their place. After a while, it becomes pretty one-tone. There’s a love angle brought into the picture, complete with a pregnancy. But neither of them shapes the ensuing events of the film in any way. Why Lowell — literally at the mercy of the head of the rival gang — is spared his life and why despite assassinating a traitor in the middle of a meeting with members of the same gang doesn’t earn him even a single bullet is not explained either. To be fair, Jared Leto does try his best to pull off a convincing performance, but he receives very little support from the writing. The rest of the cast are all forgettable, to put it mildly. Overall, the film starts off with a strong spark of promise, but fizzles out all too quickly.